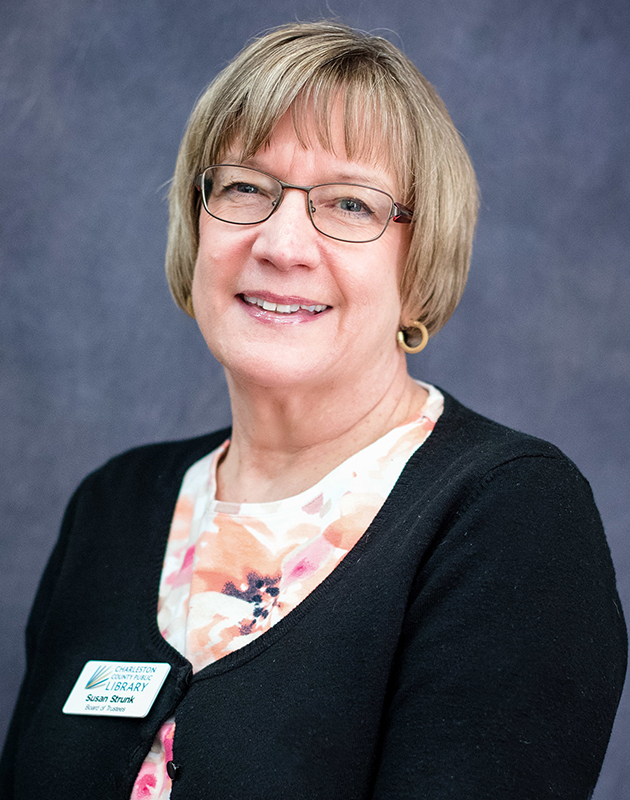 Having spent her career as a librarian, Susan Strunk worked for 25 years at libraries in the suburban Chicago area before retiring as director of the Palatine Public Library in Illinois. Strunk was appointed to the Charleston County Public Library Board of Trustees in 2015. She has a bachelor's degree in elementary education from Iowa State and a master's degree in library science from Northern Illinois University. A resident of West Ashley, Strunk is a member of the Rotary Club of St. Andrews and volunteers at Stono Park and Drayton Hall elementary schools. During her free time, she enjoys reading and playing classical guitar.